Here is an update on Venezuela and its struggling economy. Sadly, the country’s woes continue and solutions have been few. Governments in India and Venezuela may have little in common. Yet, in an effort to stem Venezuela’s economic crisis, its President Nicolas Maduro seems to be borrowing a page from Indian Prime Minister Narendra Modi’s playbook. The goal is to root out corruption. Whether or not it will be effective is the great unknown. I wrote previously wrote about how Modi shocked the economic world and his citizens by invalidating India’s two most common bank notes in November 2016. It was a bold move meant to expose corruption based on the exploitation of cash currency. Just a month later, Maduro did virtually the same thing in Venezuela. He outlawed the 100-bolivar note—the most circulated in the country—with little warning and to the shock of Venezuelan citizens. Long lines at banks and non-functioning ATMs became commonplace. Yet, the chaos surpassed what happened in India. Because of a delay in printing and delivery of newer bills and banks refusing to exchange the old, defunct bills for new ones, 3/4 of cash in circulation became worthless overnight and led to mass looting, general disorder, and panic. Maduro had pledged to introduce new bank notes in larger denominations to address Venezuela’s crippling hyperinflation, and make it easier for citizens to buy and sell goods in the largely cash-based economy (just like in India). Removing the 100-bolivar bill was supposed reduce the influence of organized crime, who Maduro claimed was hoarding the cash. The transition, however, appears to have been handled poorly. 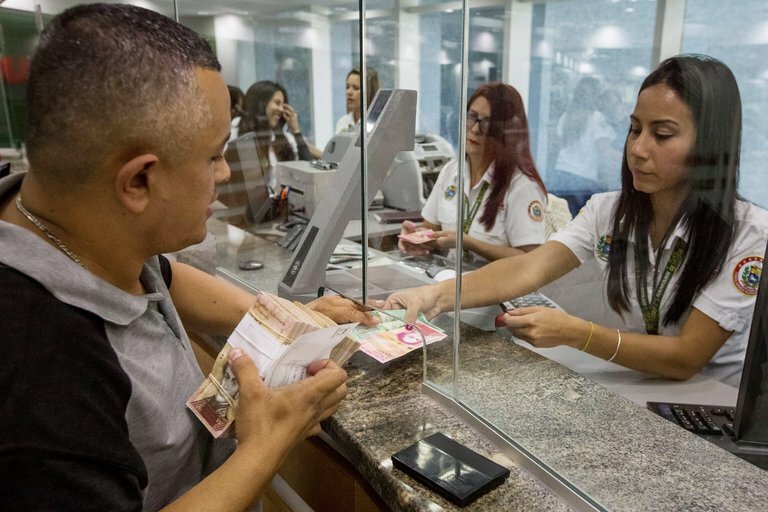 After the backlash and unrest following Maduro’s first announcement of the plan in December, he postponed the currency changes to February to give banks more time to prepare (Maduro blamed the delay on his political enemies). The government announced that new currency would be available on January 16. Nevertheless, some banks still had not received the new notes by then, or got a very limited amount and ran out by the end of the day. And then there is the oil industry. Venezuela’s state oil company Petroleos de Venezuela (PDVSA) has long been accused of harboring corrupt practices and mismanagement. I wrote about its impropriety last July and referenced a U.S. Justice Department investigation into PDVSA’s shady business dealings. On January 10, two U.S.-based energy executives pleaded guilty to corruption charges for trying to secure contracts by bribing PDVSA officials. In total, eight American and Venezuelan conspirators have been exposed for corrupt practices in PDVSA dealings by the Justice Department probe, and all have pleaded guilty. Perhaps as a response to the developments described above, in the last two weeks Maduro has moved to solidify his grip on power. On January 12 the government arrested several prominent opposition leaders, claiming they were neutralizing terrorists and coup-plotters. Maduro also claims his opponents are colluding with the United States to bring down his regime. At the same time Henrique Capriles, previously an opposition candidate in two presidential elections, announced his belief that the government intended to ban him from holding political office based on unsubstantiated accusations of malfeasance. On January 14 Maduro oversaw a vast military exercise focused on practicing urban defense and safeguarding oil refineries. Maduro claims Venezuela is under threat of “imperialist invasion” going after its oil reserves. Critics labeled him delusional and “pathetic,” and unwilling to address the very real problems facing country. Unfortunately for Venezuelans and those with interests in the country, not much has improved. Maduro seems to be actively restricting political freedoms. While his currency moves may yet have positive impact, the rollout of new bills has caused more upheaval. And the corrupt oil industry has made it difficult for the people to benefit from the country’s natural resources wealth, which is significant. If Venezuela is to regain stability, internal and external support for an open political system and economic transparency are essential. The more attention paid to Venezuela’s situation from those who can have a real impact—such as the U.S. Justice Department work—the better chance the people will have of seeing improvement of their quality of life.